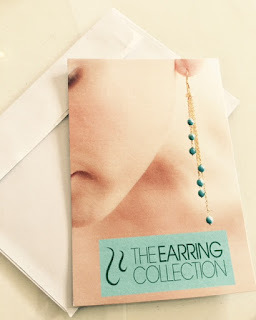 Valentine`s Day is almost here and this might be your last chance to get something very special to surprise her. What`s better then saying "I love you" with a flower? 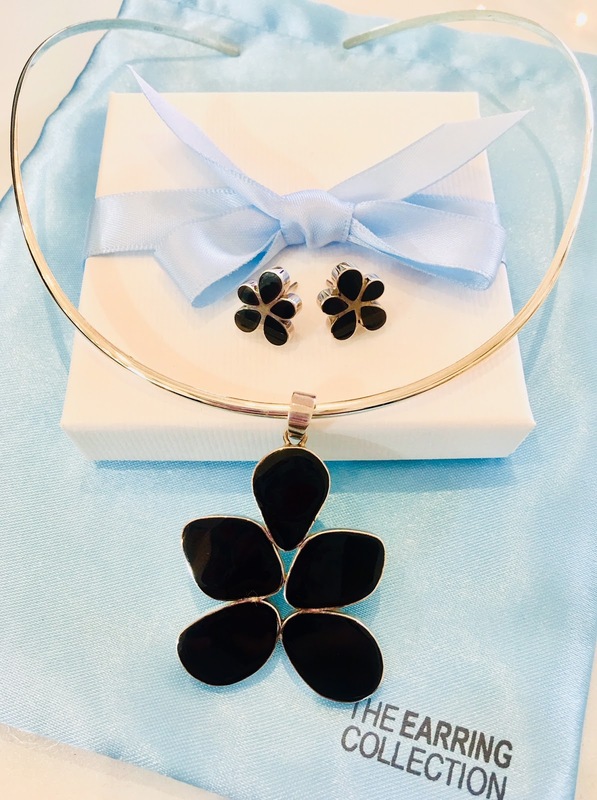 We are confident no one can resist these wonderful Flower Jewellery Sets with unique and contemporary designs. 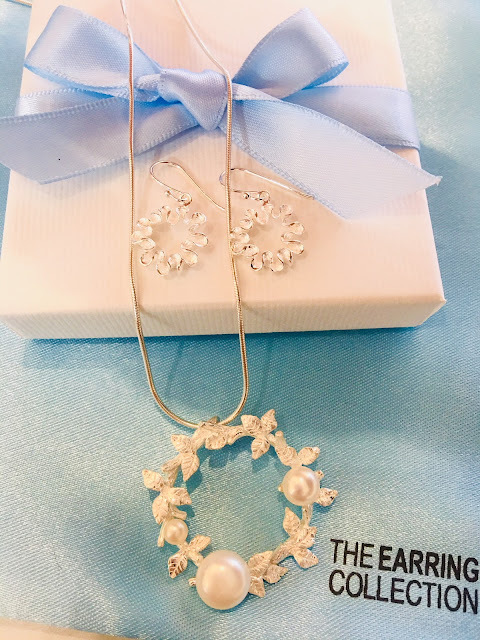 Each set is hand-made especially for The Earring Collection in Hallmarked solid Sterling Silver, Freshwater Pearls and Mother of Pearl. A special treat no one can say no. They all come beautifully presented in gift boxes with silk ribbons - ready to be given and received. This gorgeous Flower set comprises a pair of Sterling Silver & Mother of Pearl stud earrings, a matching pendant and an Italian silver snake chain - all presented in a beribboned gift box - all for £70. This stunning Sterling Silver & Black Mother of Pearl Flower jewellery set comprises a beautiful pendant, a pair of matching stud earrings and our Hallmarked Sterling Silver Collar, all presented in our lovely gift box. A superb suite in Sterling Silver and Freshwater Pearls. 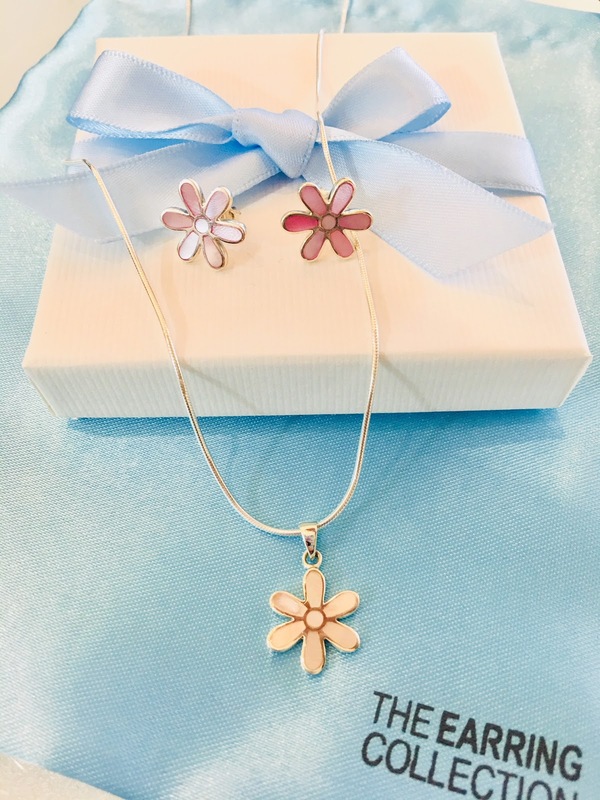 With this lovely Flower set you will get a pair of drop earrings, a stunning design pendant and a Sterling Silver snake chain. Just fabulous (and fabulously gift-wrapped,£130. Open Tuesdays, Thursdays, Fridays and Saturdays. Open on Valentine`s Day.